The Fonseca Theatre Company operates within a unique structure using four Artistic Directors. In addition to Producing Director, Bryan Fonseca, FTC will also rely upon a team of experienced theatre veterans. Learn more about them here. Producing Director Bryan Fonseca has worked in Indianapolis for 40 years. He founded and served in the same capacity at the Phoenix Theatre for 35 years. Bryan has directed for the MFA Playwrights Workshop at the Kennedy Center, The Human Race Theatre in Dayton, Ohio, Indiana University, Ball State University and the Civic Theatre of Indianapolis. Over the years, he transferred six Phoenix shows to Chicago and his production of Ma Rainey’s Black Bottom was invited to travel to a festival in Dundalk, Ireland. Bryan has received an Achievement and Service award from the Indiana Theatre Association, two Artist Fellowship awards from the Indiana State Arts Commission and two Creative Renewal Fellowships from the Arts Council of Indianapolis/Lilly Endowment. He taught at IUPUI and was invited by IU Bloomington to lecture in Germany on Contemporary Theater in America. 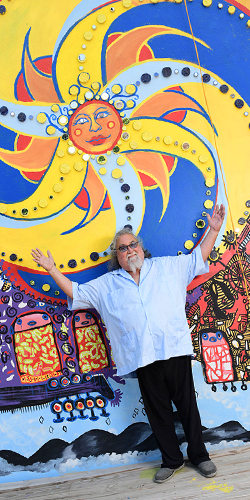 In 2016, he received the first (one of two) Transformational Impact Fellowships from the Arts Council and Lilly Endowment to begin work on the Near West Side. Company Members: Leraldo Anzaldua, Tom Alvarez, Deborah Asante, James Solomon Benn, Joanna Bennett, Diane Tsao Boehm, Monica Cantrell, Patricia Castañeda, Ian Cruz, Natalie Cruz, Keesha Dixon, Lakesha Lorene, Rhoda C. Ludy, Eduardo Luna, Josiah McCruiston, A K Murtadha, Brianna Milan , Kai Mwaafrika, Robert Negron, Iris Rosa, Ben Rose, Daniel Scharbrough, Jordan Flores Schwartz , Carlos Sosa, Dena Toler, Ansley Valentine, Dwuan Watson Jr, Milicent A. Wright. Collaborators: Andrew Black, Tim Brickley, Will Carlson, Toni Press Coffman, Suzanne Fleenor, Charles Goad, Patrick Goss, Jerry Grayson, Gigi Jennewein, Ronn Johnstone, Bernie Killian, Jim Kincannon, Angeline Larimer, Mara Lefler, Mark Harvey Levine, Clay Mabbitt, Adrienne Reiswerg, Beverly Roche, Deb Sargent, Gayle Steigerwald and Dan Wakefield. 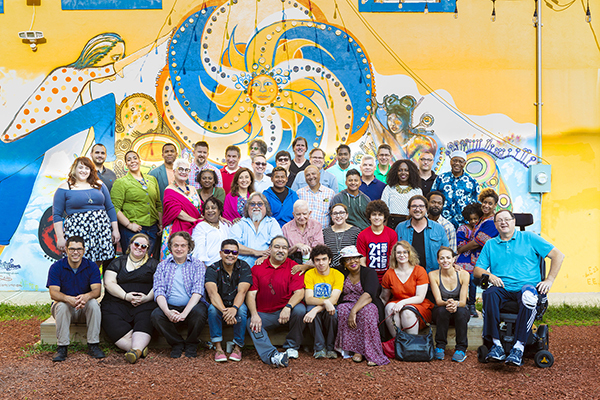 Indy Convergence is an international artist residency program focused on interdisciplinary collaboration and the intersection of arts and community. IC serves the Near West neighborhoods of Indianapolis and maintains programs internationally in Jacmel, Haiti and London, Ontario. 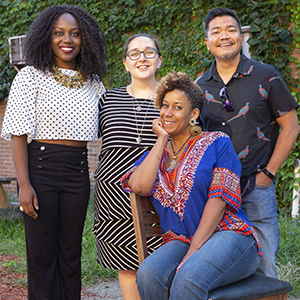 Cultivating the talent that already exists on a local level and facilitating residency programs to bring in new perspectives, Indy Convergence works to both stimulate and amplify community voices.